Tewodros Bekele is one of the artists exhibiting his work as part of the 2012 edition of Fana Wogi Open Call, an event that is now held every year. Using found objects and throwaway treasures, the Addis-based experimental artist is displaying works with the themes and imagery of nature and society. A series of the artist’s meticulously decorated sculptures made from plastic water bottles have filled the gallery of the Modern Art Museum/ Gebre Kristos Desta Center.The artist gives the plastic a melting, almost alluring luminosity and the fluid surfaces of his sculptures seem to welcome not just the embrace of light but also the caress of the viewer’s hand.By exploring size and scale, the natural world and the urban environment, Tewodros invites his audience to question ways of seeing and experiencing art. 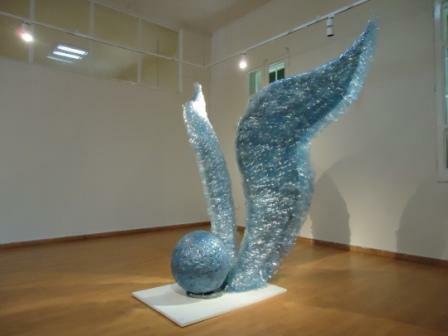 A graduate of the Alle School of Fine Arts and Design, Addis Ababa University, Tewodros has been working on different projects such as installations. 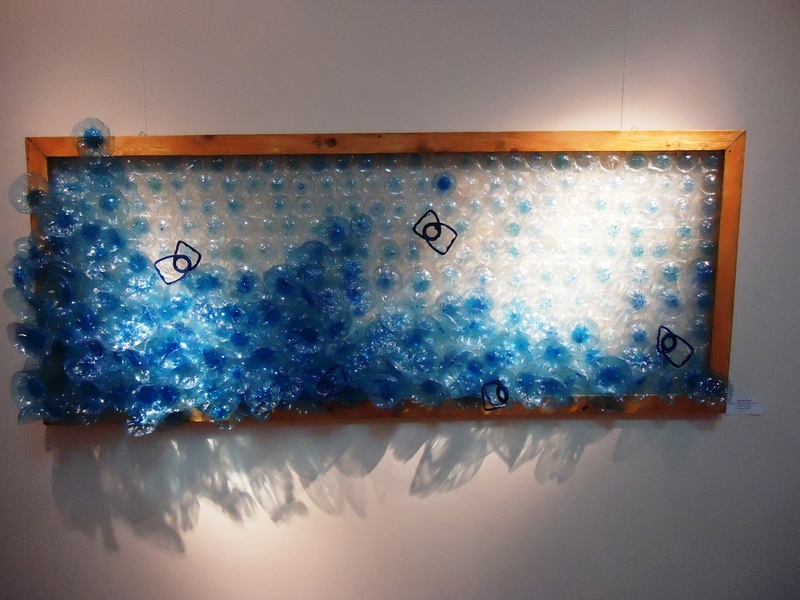 Fascinated by the idea of using recycled materials, especially plastic bottles, he said he sought to apply the media in order to demonstrate how to use something old to create something new. Living near Mercato neighborhood, plastic bottles are the materials that he comes across every day. ”They are easily available and the items themselves guide me into using them,” he explains. For him working with old materials shows the permanent change and the movement of the world. He states that he has not yet formed an opinion as to where this movement takes us and is not yet sure as to whether it is a movement forward or backwards. The curator of the exhibition and Modern Art Museum Director, Aida Muluneh, says Tewodros is creating works of art that depicts his surroundings and showcases the limitless possibilities of creating art from adamant objects. The artist has been announced as the winner of this year’s Fana Wogi competition last week. The jury found his works “particularly outstanding in terms of the originality of the idea and its creative implementation. “ He was awarded an official certificate and cash prize of 10,000 ETB. The other two finalists were Muluken Dessalegn on “Participatory Card Scratching” and Hirut Gizaw with “Opportunities around me”. Fana Wogi was launched in 2011 by the Goethe Institut and the Modern Art Museum / Gebre Kristos Desta Center, as a platform to promote emerging artists with initiative approaches. The exhibit of the three artists works are on view at Modern Art Museum Gebre Kristos Desta Center‘s gallery from May 31 through June 25. The Modern Art Museum/Gebre Kristos Desta Center is found in Sidist Kilo next to Goethe Institut. Can anyone tell me how this is done? 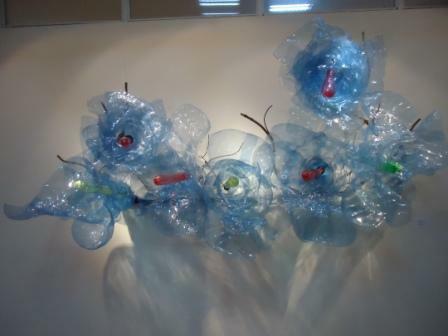 How to recycle bottles into an art?